It’s December 15. 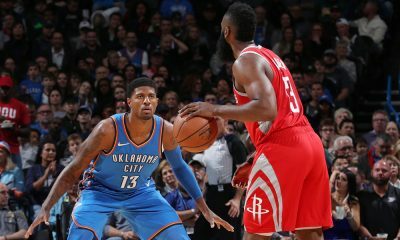 Today is the first day that NBA free agents signed this past summer (at least those signed before September 15) can be traded and, because so many more players are now capable of being traded or included in larger trades, is the unofficial kickoff of the NBA trade season. 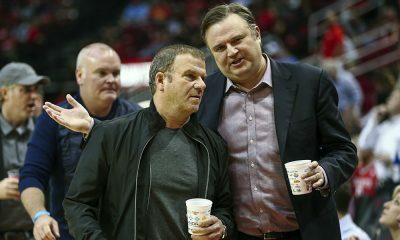 Daryl Morey wasted little time, today acquiring Terrence Williams in a three-way trade with New Jersey and the L.A. Lakers in exchange for the Rockets’ own lottery-protected 2012 first round pick and also trading Jermaine Taylor and cash to the Sacramento Kings in exchange for a second rounder the Rockets will never see. The Taylor trade was purely a maneuver to save some salary and luxury tax versus having to waive Taylor outright. Aside from these moves, as of today, the Rockets are now permitted to trade Luis Scola, Kyle Lowry, Brad Miller and Ish Smith. Because Scola was pitifully underpaid last year and subsequently signed a new contract at a much larger starting salary (roughly $7.78 million, more than double his previous salary), he is now what is commonly referred to as a “Base Year Compensation” player. 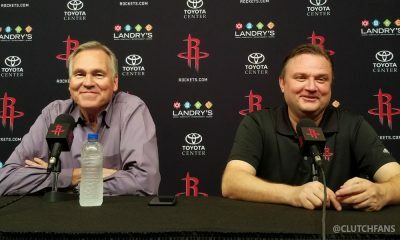 This means that, for trade purposes, the Rockets can only take back 50% of Scola’s salary (roughly $3.89 million) as incoming salary for salary matching purposes. Meanwhile, the team acquiring Scola would count his full $7.78 million salary as incoming salary, making any trade involving Scola difficult to accomplish under the salary cap. For example (totally hypothetical, not based on any facts or rumors whatsoever), let’s say that the Rockets decide to trade Scola to the Atlanta Hawks straight-up in exchange for Marvin Williams (who makes roughly $7.26 million this year). From Atlanta’s standpoint, this trade is easily doable under the salary cap, since Scola’s incoming salary ($7.78 million) is close enough to Williams’s salary for matching purposes. 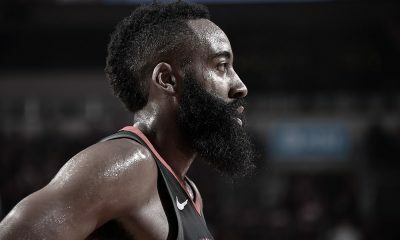 However, the trade does NOT work for the Rockets, since they are receiving more incoming salary ($7.26 million) than they are permitted to receive in exchange for Scola due to his Base Year Compensation player status ($3.89 million). 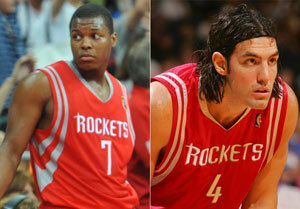 In order to accomplish a trade of Scola, additional players on both sides would likely need to be involved. Even then, overcoming the nearly $4 million salary gap would be difficult. Much like Scola, Lowry is also a Base Year Compensation player. 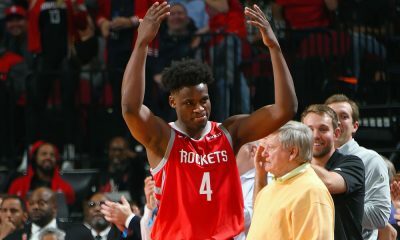 His current salary ($5.75 million) is more than double his salary from last year, meaning that the Rockets can only take back $2.875 million in a trade of Lowry. This gap is slightly easier to overcome than the one for Scola from a salary matching standpoint, but Lowry has another major roadblock to any trade. He must consent to being traded. 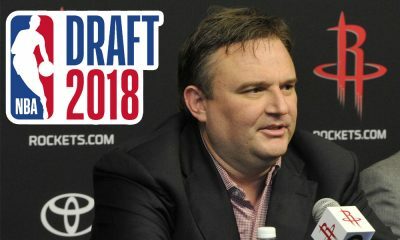 Because Lowry signed an offer sheet with the Cleveland Cavaliers last summer that the Rockets eventually matched, he must first consent to any trade for one year (until mid-July 2011) in order for the Rockets to trade him. Also during that time, he CANNOT be traded to the Cavaliers, even if he consents to such a move. As you can see, while the Rockets’ trade options have certainly opened up (for instance, I could easily see Daryl Morey moving Smith somewhere in exchange for a future second round pick), there are still roadblocks to trades involving Scola and Lowry. 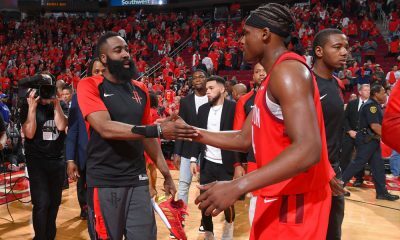 Rockets are throwing an awesome House Party, but how long will it last?